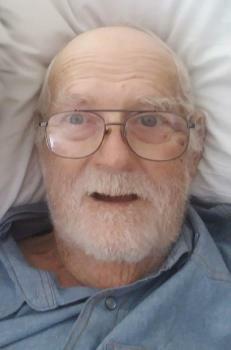 Larry P. Moore Sr., 82 of Richwood, died Friday, September 7, 2018 at Heartland of Marion. He was born April 26, 1936 in Richwood to the late Harry and Lena Fay (Showalter) Moore. He was also preceded in death by a son, Larry P. Moore, Jr.
Larry was a veteran of the U. S. Airforce. He had worked as a heavy equipment operator for the Railroad. Larry also had many different jobs throughout his lifetime. He was staple of Richwood, most days he could be seen on his scooter, checking out the goings on of the village. Larry enjoyed visiting with people around Richwood. He will be remembered as a caring Grandpa to his grandchildren. with this man at the hotel.